After so much speculations and rumoured photo leaks on the internet, the Samsung Galaxy Note 8 has been unboxed! 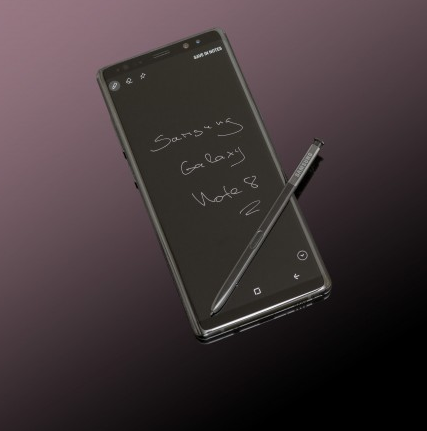 The galaxy note 8 will be the latest Note gadget to surface in Europe in over a two year period, quite a long time right? Well, I must say I am shocked Samsung did not engage in much publicity for the Note 8, maybe because they are yet to recover from the massive blow the Note7 dealt the company or their eyes are set at launching the Galaxy S.
According to a staff from GSMarena, the galaxy Note 8 isn't really packed with mind burgling features. It seems as though the device is coming with just a little weak. The Note 8 comes with a dual Camera set=up, but critics say the feature is long overdue. Now let us see some of f the Keys specs of the Galaxy Note 8. To be sincere this is a 'powerful machine' from the perspective of the users out there in the public, but speaking from the point of a 'tech critic', the Galaxy Note isn't really outstanding! Though, it is one of the smartest phones currently in our world. Now let us take a brief look at the S-pen the galaxy Note 8 comes with. This device is powered by an Android 7.1.1 Nougat - a bit higher than the Samsung galaxy S8 and S8+. Samsung also raised the level of the User Experirence running on the Note to 8.5 vs. 8.1. That, however, you'll hardly notice, but the S-Pen you will, so let's talk about it. This device can accompany you anywhere if you are a note taker or scribbler of stuffs. The notes you take will be displayed to you orderly or should I say chronologically. One thing I loved about the S-pen feature is your notes could contain images in addition to your typed text, doodles, and recordings. The edge panels are panes of tools and shortcuts that you bring up from the side of the phone by pulling on a handle. The handle (and consequently the panels) can be on either side of the display, and you can set up its size, vertical position and opacity. The available panels include Apps edge (pre-configured app shortcuts), People edge (pre-configured contact shortcuts), Tasks edge. Also, additional panels can be downloaded. In all, the Samsung galaxy Note 8 is a force to reckon with and I can assure it draw massive sales globally when it finally hit the stores.